SEATTLE, WA - It’s Amazon’s world, and the rest of us are just rushing to adapt. After launching Amazon Go in multiple cities earlier this year, many have assumed Go will be hurtling our industry into a new era of convenience as it allegedly expands its footprint to include 3,000 stores by 2021. This week, Sean Butler, former Senior Vice President, Retail for meal kit company Chef’d, added fuel to the fire after posting on LinkedIn that Amazon Go is in the midst of hiring 338 full time employees across all levels. This news dropped the same week that the Wall Street Journal reported that Amazon is testing its Amazon Go/cashierless technology for bigger store formats. This report has led many to suspect the e-tail giant is looking to bring Whole Foods into its new era of convenience, thus once again changing the name of the game when it comes to brick-and-mortar. 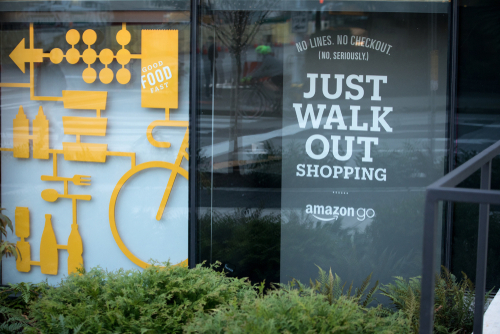 However, Butler points out in his post that earlier this year Amazon Go VP’s Dilip Kumar and Gianna Puerini asserted Amazon has no plans to roll Go technology out at Whole Foods, or any large-format stores for that matter. But, of course, grocery is a fickle business and Amazon has been known to shake things up from time to time (i.e. always and forever). Is Amazon’s latest hiring spree a sign of rapid Go expansion in Whole Foods or otherwise? AndNowUKnow will continue to keep you clued in to the latest online grocery movements that are shaping brick and mortar as we know it.